This past Sunday, we had the opportunity to share the work of Servant’s Heart Camp at a church in New York state. The people at that church were one of those unforgettable groups. They listened attentively as I shared about Servant’s Heart and they would hang on every word as I preached. 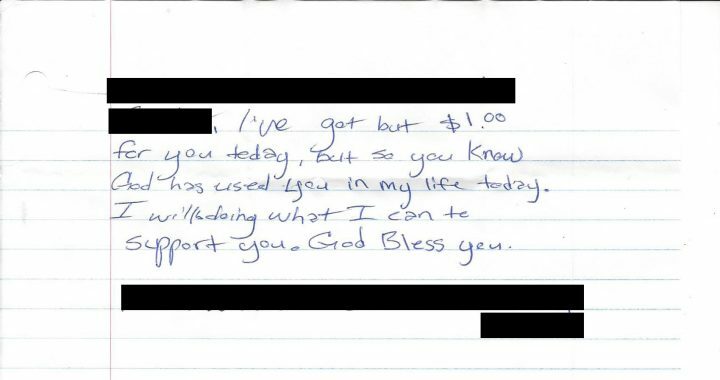 This brief letter with the generous love offering gives you the spirit of that church.